So it appears Solo: A Star Wars Story isn’t doing so well. 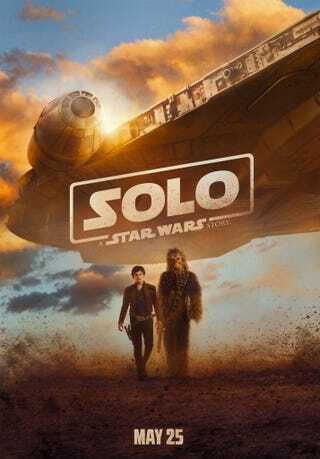 It’s only the opening weekend, but with big budget films tending to heavily rely on opening weekend sales and sales from overseas, Solo is off to an unsteady start. I’m not sure why Disney decided to release Solo in May instead of December — certainly, the only big budget blockbusters I can see in December are Aquaman and Disney’s own Mary Poppins Returns, which they could also easily move. Meanwhile, in June, we have Ocean’s 8, Incredibles 2, and Jurassic World: Fallen Kingdom, so Solo might actually leave the theater after only a few weeks. So what does this mean for future Star Wars movies? Well, so far, we have one movie we know for certain that’s coming out (Episode IX directed by J.J. Abrams) in December 20, 2019. And then there are two other trilogies being developed: Rian Johnson’s trilogy and Benioff and Weiss’s trilogy. And, on top of that, two potential stand alone films: a Boba Fett film directed by James Mangold and an Obi-Wan Kenobi film directed by TBA. If Solo bombs, however, I could see Disney stopping production on all standalone films and concentrating on only trilogies. Which would be a shame, since I ended up loving Rogue One and great enjoying Solo. Telling single movies stories in the Star Wars universe isn’t a bad idea — Solo was just plagued by production troubles and bad timing in its release. Disney could also try and go the MCU route and release two movies a year, instead of their normal one, but that’s risky. The MCU can afford to make a smaller budget film after a big budget film (okay, so $160 million isn’t technically a “small” budget, but it is smaller than Infinity War’s $300-400 million budget), but can Star Wars make a smaller budget film that doesn’t need to earn so much in order to recoup everything? And what about the standalone films? So far, all they’ve done is explore moments in time before the original trilogy — but they can do more. But with even the name recognize of “Solo” not bringing in a big opening weekend, will Disney want to explore more or experiment with the types of Star Wars films they release? I guess all of this is me really asking: can I get an HK-47 movie please?